Science fiction stuffs/Star Trek, Star Wars, other Stars/Lots of aliens. So I know I used to say I would never create for TS3, but now I guess "never" was a bit of an over-statement I really only re-installed TS3 for the heck of it, played a bit and tried to make some sims. Anyway, I had so much fun that I decided to keep at it and try to make them good enough for upload. 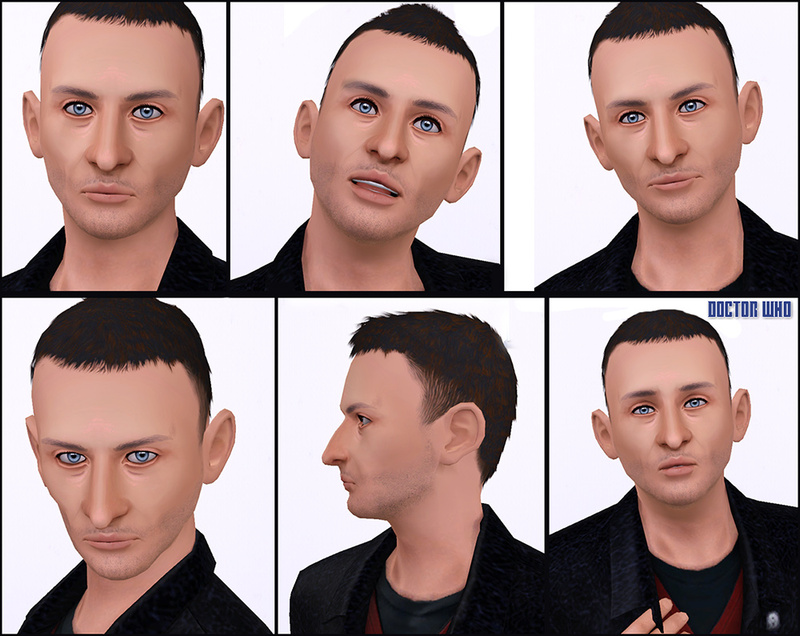 Well, at least I hope they are good I tried to keep them as simmish as possible, because I think TS3 sims look better during gameplay when they're cartoonish instead of super realistic. If you're not familiar with Doctor Who, here's a little tidbit from Wikipedia: Doctor Who is a British science fiction television programme produced by the BBC. 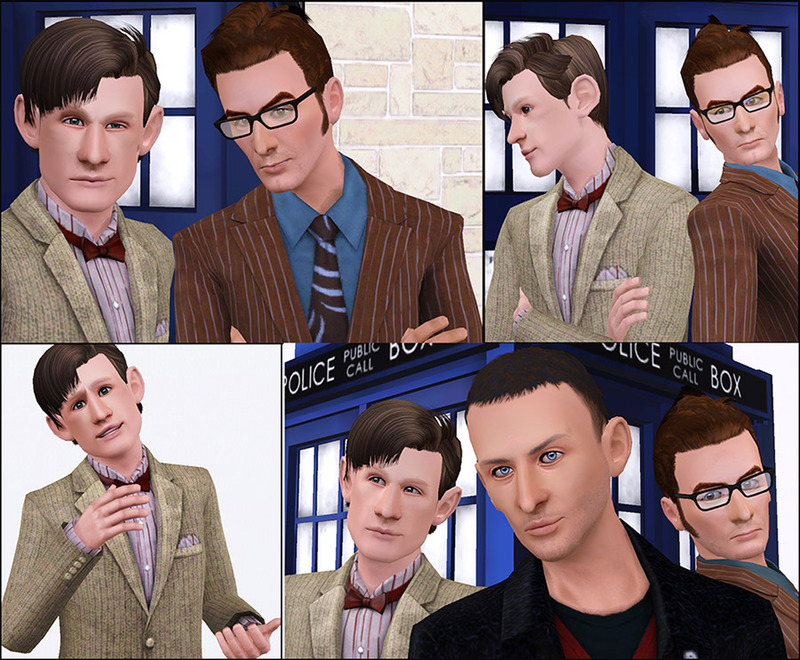 The programme depicts the adventures of a Time Lord—a time travelling, humanoid alien with two hearts known as the Doctor. 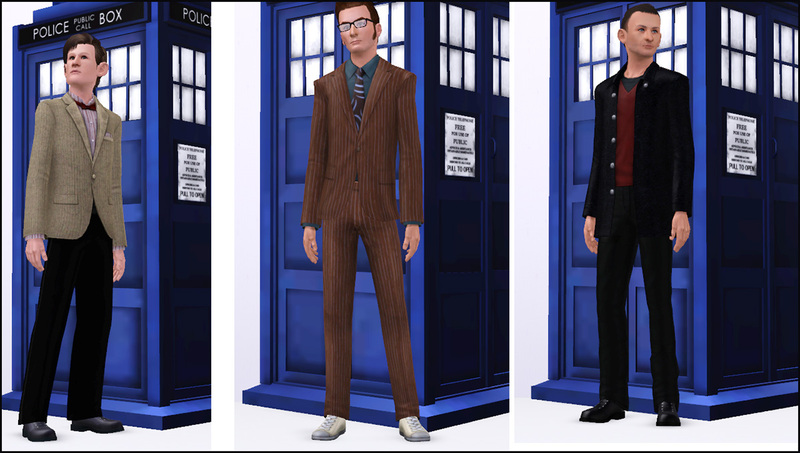 He explores the universe in his TARDIS, a sentient, telepathic time machine that flies through time and space. Its exterior appears as a blue British police box, a common sight in 1963, when the series first aired. Along with a succession of companions, the Doctor faces a variety of foes while working to save civilisations, help ordinary people, and right wrongs. 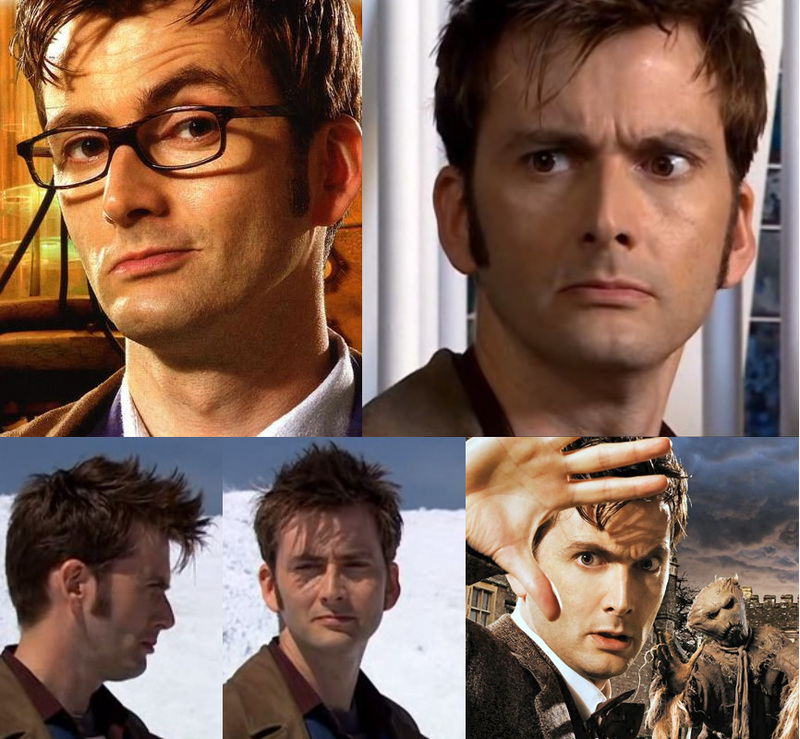 Within the series' narrative, the Doctor is a centuries-old alien, a Time Lord from the planet Gallifrey, who travels in time and space in his TARDIS, frequently with companions. 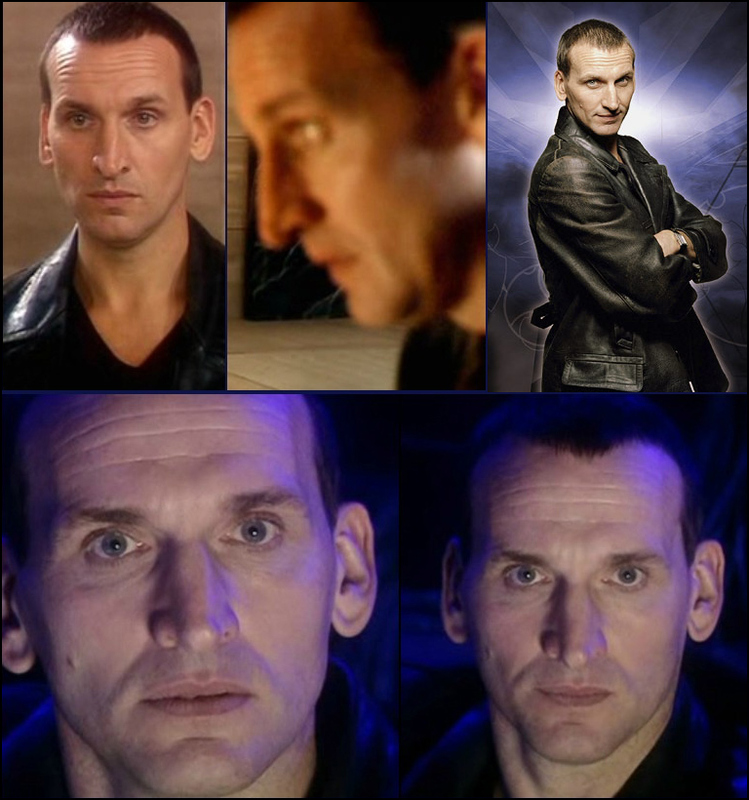 When the Doctor is critically injured, he can regenerate his body but in doing so gains a new physical appearance and with it, a distinct new personality. "I am definitely a madman with a box!" 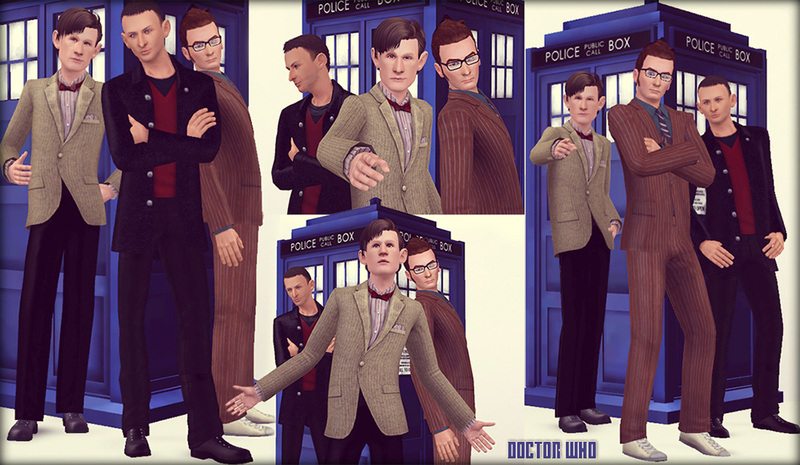 Brand new outfit for Eleven now available here! "Do you know like we were saying? About the Earth revolving? It's like when you're a kid. The first time they tell you that the world's turning and you just can't quite believe it because everything looks like it's standing still. I can feel it. The turn of the Earth. The ground beneath our feet is spinning at a thousand miles an hour. And the entire planet is hurtling around the sun at sixty-seven thousand miles an hour and I can feel it. We're falling through space, you and me. Clinging to the skin of this tiny little world and if we let go...That's who I am." 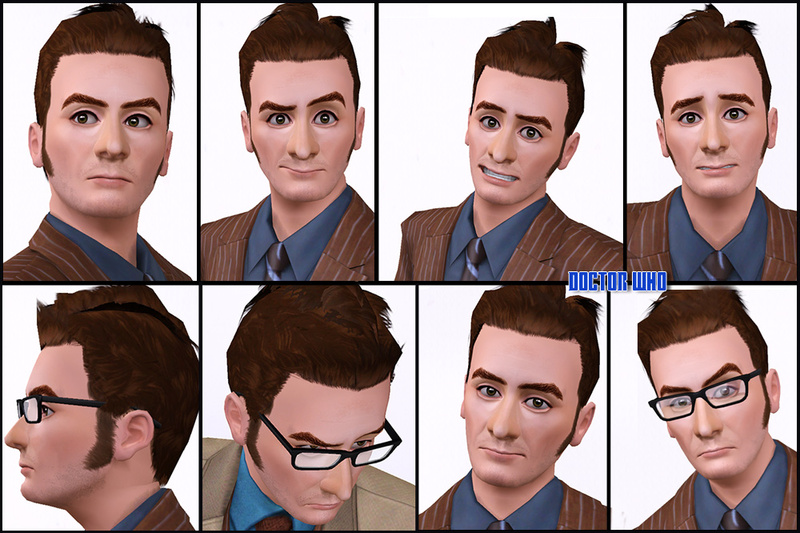 As you probably already know, you only need these sliders if you intend to change these sims' faces. If you like 'em the way they are, then you'll be fine without the sliders. I'd like to thank Fansee and Lee, because if it weren't for their encouragement my TS3 adventure would probably just stayed an experiment. Thankyou goes to tumblr simmers as well, for being awesome, sweet and encouraging always. Sherlock Holmes - Consulting Detective!